Built in 2013 by Palmer Johnson at its Sturgeon Bay, WI shipyard the 66m (215′) Lady M is a masterpiece designed by Nuvolari & Lenard. With muscular and seek exterior lines in addition to a feline figurine on the bow that appears seemingly ready to pounce at a moments notice you can tell at a glance that Lady M is designed to move, and move she does. Lady M’s aesthetic appearance can be summed up in one word: athletic. Thanks to a semi-displacement aluminum hull and aluminum superstructure the twin 16V 4000 M93L MTU engines propel Lady M to a top speed of 28 knots with a cruising speed of 24 knots. At a cruising speed of 16 knots Lady M has a range of 2,500 nautical miles. At the time of her launch Lady M was the biggest sport yacht Palmer Johnson had ever launched. Lady M by Palmer Johnson. 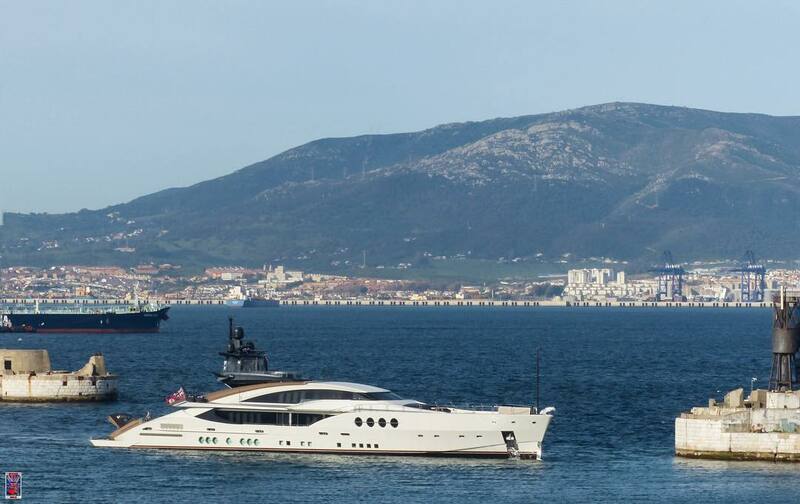 Photo courtesy of Jarrad @ superyachts_gibraltar. The interior is designed by Nuvolari & Lenard and has accommodations for 12 guests across six cabins and additional rooms for up to 14 crew members. 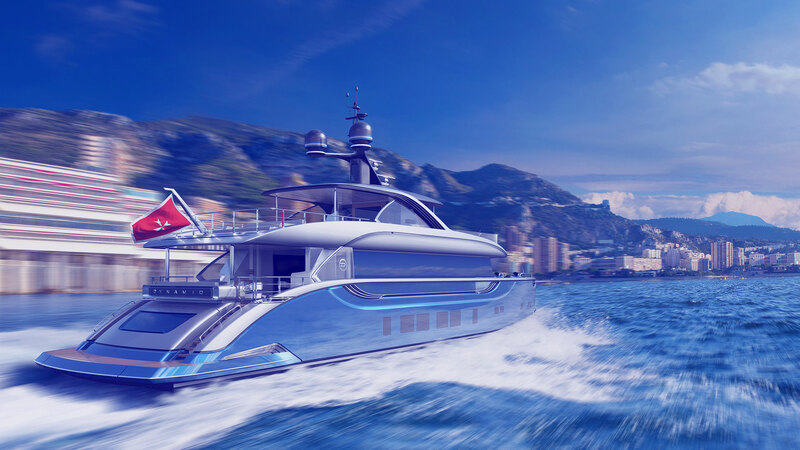 The private yacht is not currently available for charter but is known to boast amenities that will keep guests entertained no matter the occasion and include a swimming pool, jacuzzi, helicopter landing pad, tender garage and zero speed stabilizers which increase comfort when relaxing at anchor. 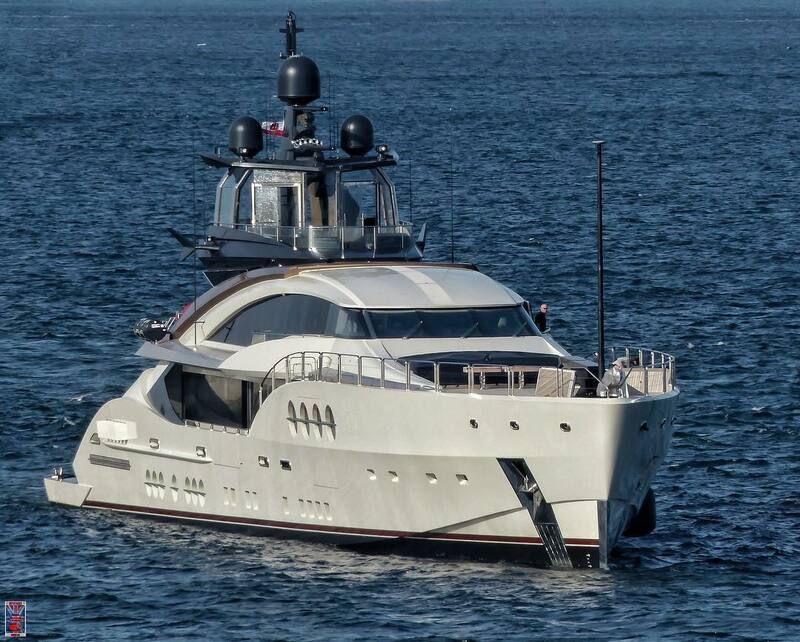 Lady M built in 2013 by Palmer Johnson seen in Gibraltar. Photo by Jarrad @ superyachts_gibraltar.